Lesley STEAM Learning Lab welcomed the entire faculty and administration from the Renaissance Community School in New Bedford, Mass, for a full day interactive workshop. Based on the school’s desire to integrate standards-based making into the curriculum, Lesley STEAM developed a series of projects to engage the staff in collaborative problem solving and inquiry-based learning. Lesley Associate Professor Yvonne Liu-Constant brought her students into the Lesley Makerspace to experience a variety of STEAM activities within the context of their Integrated Curriculum for Early Childhood: Science and Health course. On May 30th, 14 members of the Lesley New Teacher Community (NTC) gathered in the new Lesley Makerspace to experience hands-on STEAM activities. The group included new teachers from a range of grades and disciplines who were eager to discover these new tools for themselves. Cambridge Teachers Attend "Robot School"
Last Monday, one of Amy Moylan’s first grade parents came into her classroom to share her daughter’s excitement that “her teacher is going to robot school” and that the little girl couldn’t wait to use the robots in her classroom. Ms. Moylan, who teaches at the Amigos School, was one of 20 Cambridge Public School District (CPSD) teachers and specialists taking the “Make It Take It” robotics course facilitated by the Lesley team and CPSD Instructional Technology Specialist guru Ingrid Gustafson. 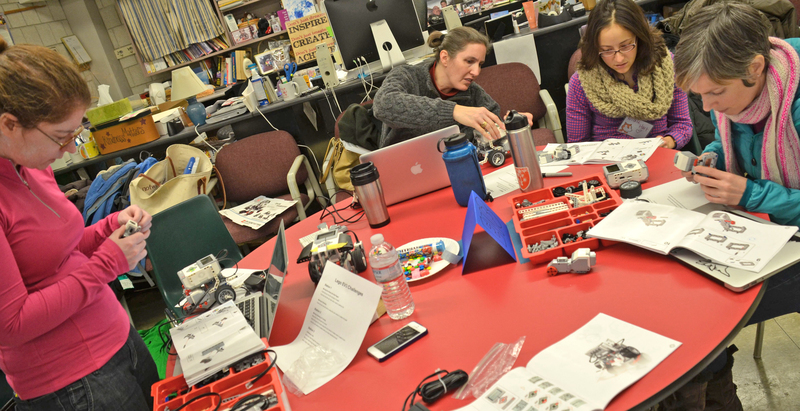 The idea behind the class is that each Cambridge school was offered robotics kits with the intent of bringing robotics and programming into the classrooms. 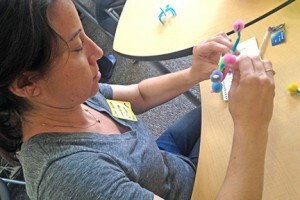 The workshop was taught in the Kennedy-Longfellow School (K-Lo) makerspace over the course of several days. 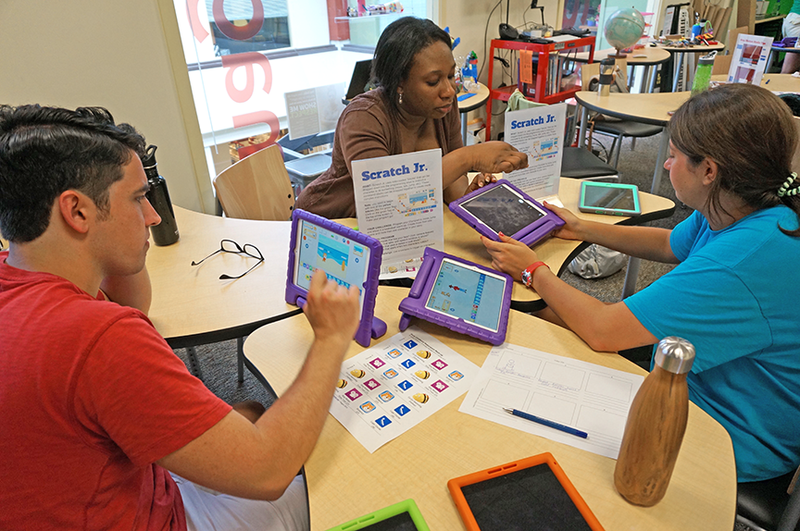 Continue reading Cambridge Teachers Attend "Robot School"